We’re back in Bon Temps and not much has changed setting-wise. Only Sookie’s garden is much greener now and the description of it read wonderfully. While the setting didn’t change all that much, some characters have. One of them is Eric. We don’t get to see him a lot but his decisions speak volumes. Sam is also acting very strange and it isn’t possible to warm up to him like in the previous books. At least we can count on Sookie, the main character in the series. She’s still the same, tanning in the sun and serving the customers at Merlotte’s. 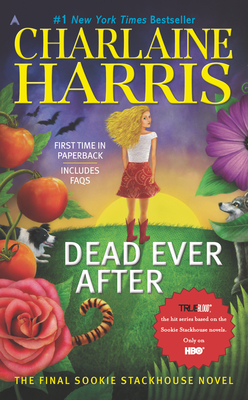 Dead Ever After is the last book in the Southern Vampire Mysteries and unfortunately, it doesn’t do them justice. As expected, there are many goodbyes. There is a murder that is not solved completely, as the one person responsible for the murder is not even looked for. I was so surprised to see the novel end and everyone off the murder case. If you are looking for emotions other than heartbreak, look elsewhere. Charlaine Harris gave her series a reasonable ending. But do readers of paranormal romance really want to read about reasonable and boring situations, or do they read these novels because they are full of thrill, adventure and emotions?